Yesterday afternoon, Denmark’s single-party minority government became a three-party one as Konservative (K) and Liberal Alliance (LA) accepted Prime Minister Lars Løkke Rasmussen’s invitation to team up with Venstre in the halls of Christiansborg. The new government will remain a minority government, but will now have more manoeuvrability thanks to a larger minority backing its proposals. The new government will increase its number of ministerial positions from 17 to 22. Venstre will retain 13 positions, while Liberal Alliance will get six and Konservative three. 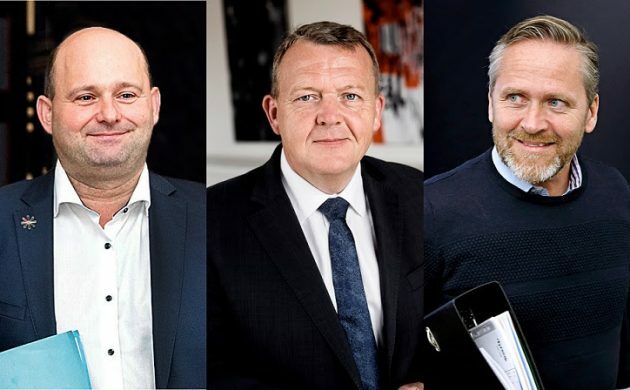 Lars Løkke Rasmussen will remain prime minister, and the heads of K (Søren Pape Poulsen) and LA (Anders Samuelsen) will be given key positions, ushering in massive ministerial musical chairs in Denmark. The new government’s ministers won’t be presented until 11:00 this morning, but reports indicate that Poulsen will replace Søren Pind to become Denmark’s new justice minister, while Samuelsen will replace Kristian Jensen as foreign minister. Jensen will become the new finance minister, replacing Claus Hjort Frederiksen who will in turn will replace Peter Christensen as the new defence minister. Mai Mercado (K) is set to become Denmark’s new children’s and social minister, while Brian Mikkelsen (K) will become business minister. LA’s Mette Bock (who is Samuelsen’s sister) will replace the legendary Bertel Haarder as culture minister, while Ole Birk Olsesen (LA) will become transport minister and Simon Emil Ammitzbøll (LA) will become the new internal affairs minister.